Regardless of type we cover the translation of all financial copy spanning investment and banking to accounting and insurance. We have some of the world’s largest financial institutions as clients and our most frequent clients for financial translations are companies who deal directly in the financial services industry. We do take a lot of work from other industries in need of financial copy and have subsequently covered a huge variety of financial translations allowing us to form a vast network of specialist, financially competent and experienced translators. 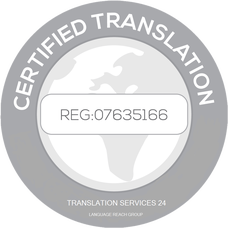 Here, at Translation Services 24 we understand that managing a translation for the financial sector can often be extremely stressful and time -consuming. As our UK translation agency worked with a variety of clients, from London based SMEs to some of the world’s largest companies and organisations, we developed a process which guarantees not only accuracy, reliability and competitive pricing, but also fast turnaround times. Our broad area of financial expertise with the variety of languages we have provided these services in means there are not many industries we have not provided financial translations for. This experience allows us to provide all of our clients top level project management with ease. Because the financial sector is so vast and text can include specialist words and phrases often individual to the various financial sectors, we only ever select translators who have this experience. If requested we will provide translators with experience of another niche area coupled with financial, for instance legal or marketing. We are often asked for individualised services so for any other specialist requests please talk to a member of the team.